This is Angie Chen, M1 student at IMD Lab. 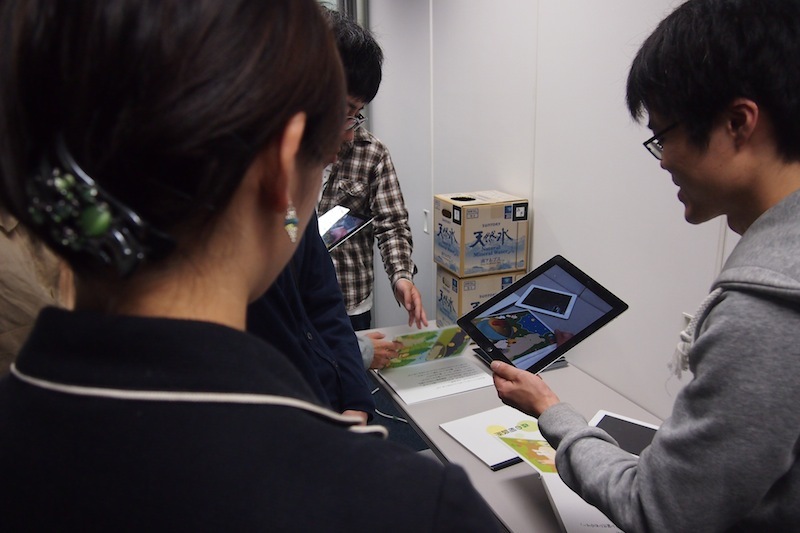 We had open campus last weekend and demonstrated our researches to visitors. Here I would like to share with you and show some pictures I took that day. 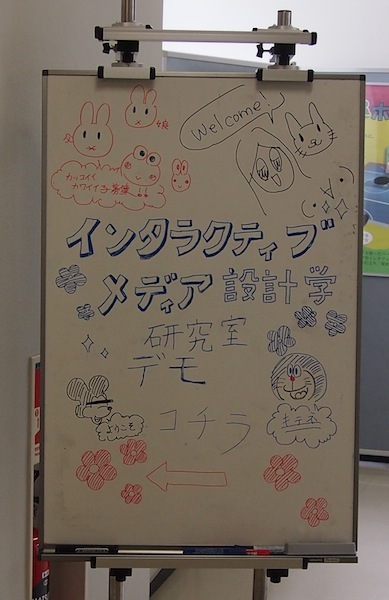 welcome sign outside the demo room! 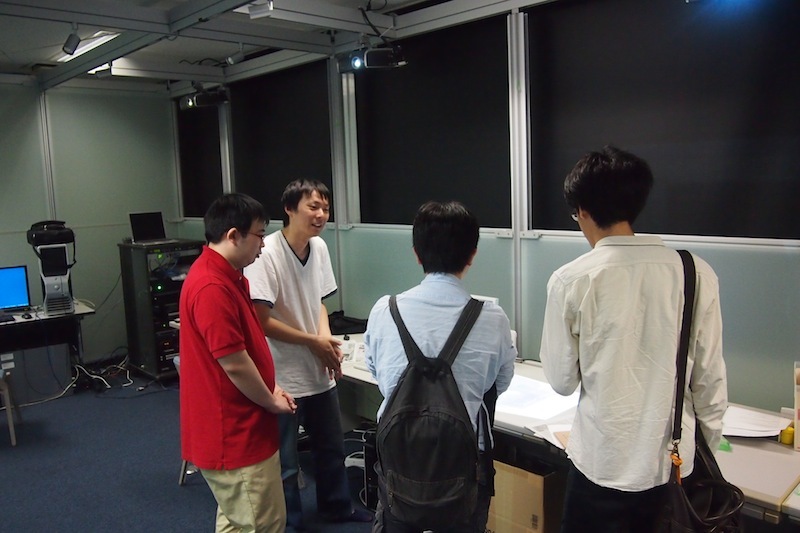 This is Katayama-san and Kubo-san who were at the first floor to introduce our lab. The view from the entrance. 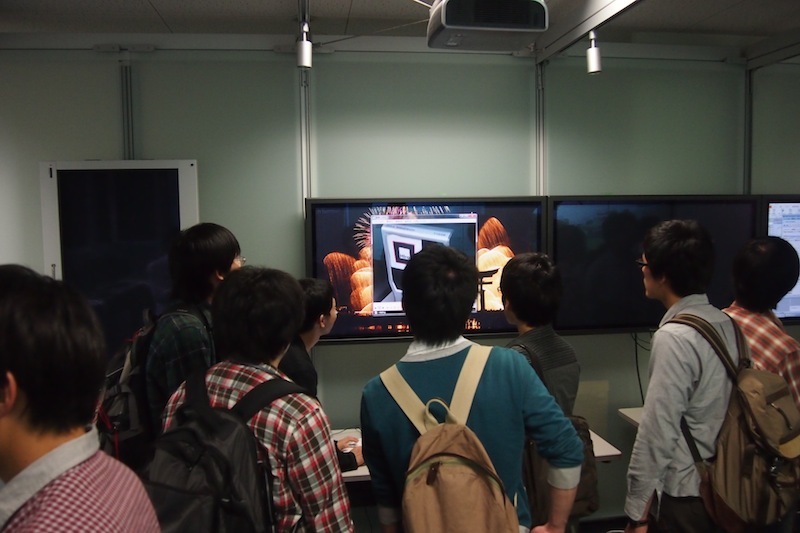 We had many students and visitors that day. 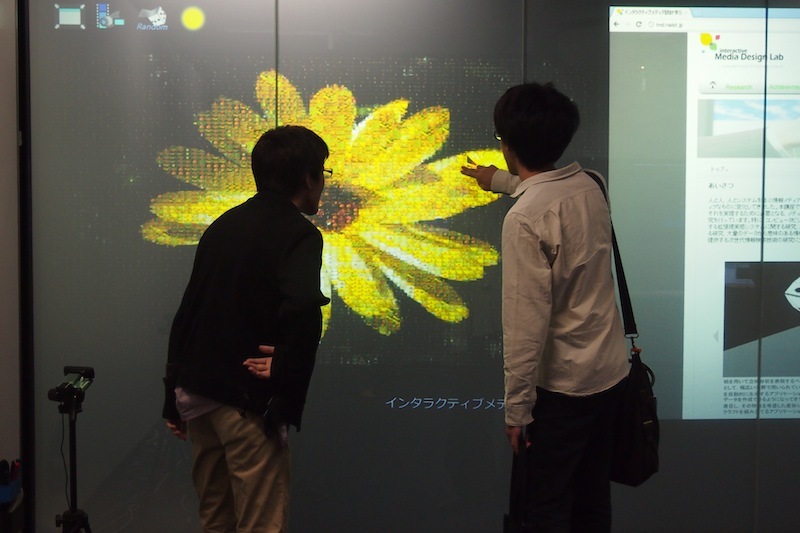 Kimura-san was explaining PhotoMosaic (フォトモザイク). 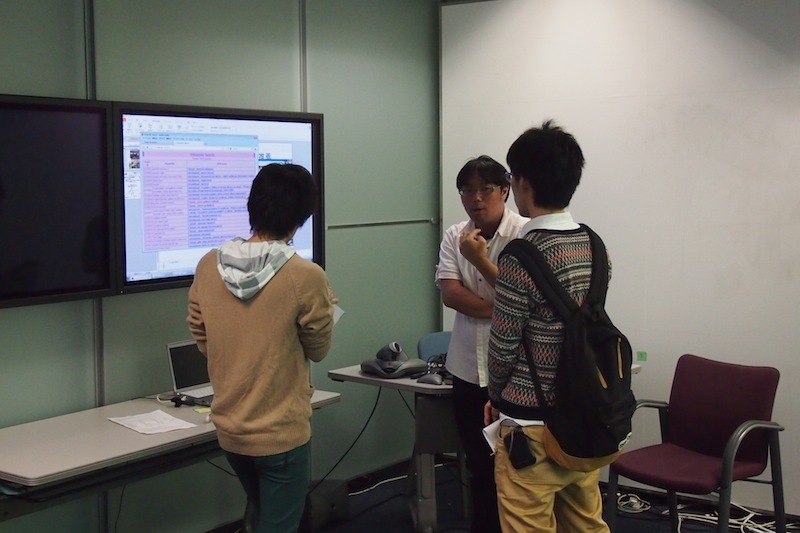 Terawaki-san was introducing the system to a foreign visitor. Magic Light introduced by Zhang-san and Ozawa-san. Magic book presented by Kim-san! And this is Keyaki-san introducing his system. Many questions were asked and discussed that day. Some students even brought their proposal asking for comment. 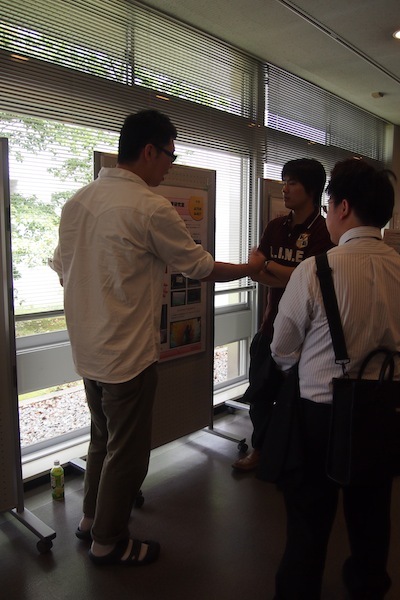 It’s glad to see people are interested in our researches. 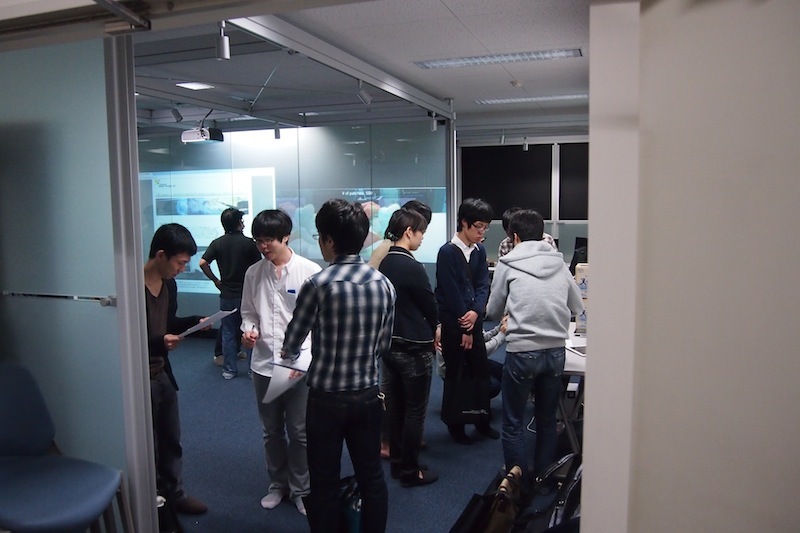 Over all, it was a great experience for me since I haven’t joined open campus before.